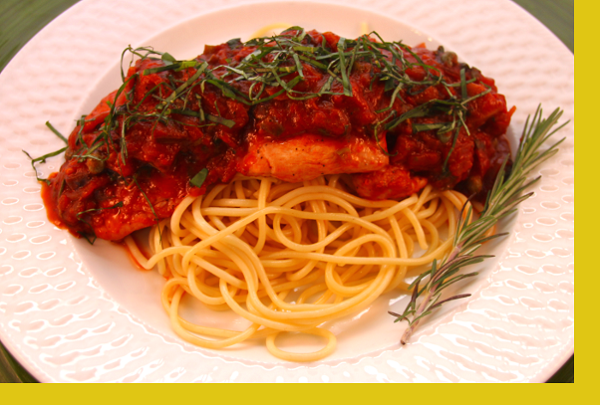 The wonderful aroma of Chicken Cacciatore makes it a hallmark of Italian-American cuisine. 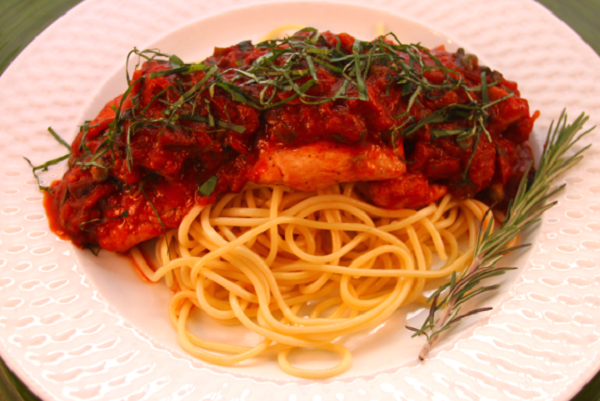 Fresh vegetables, herbs and wine in a rich, thick tomato broth paired with chicken and served over a bed of pasta..
Heat a sauce pan with 2 tablespoons of oil on medium heat. Saute & brown chicken 2 minutes per side, in batches if necessary, then set aside. Add sauce and bring to a boil then simmer. Add back chicken and continue to simmer until sauce thickens. Serve over spaghetti.